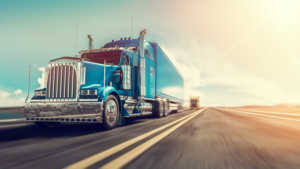 Trucks and truck drivers are integral to U.S. supply chains, moving 70 percent of the nation’s daily freight-by-weight and generating $700 billion in annual revenue, according to the American Trucking Associations. So mounting discontent by truckers nationally over a range of issues isn’t something our Ohio trucking logistics team – or any one else with a supply chain relying on truckers – can afford to ignore. The biggest problems, truckers say, are beefed-up regulation, lack of adequate training and proposed gas tax hikes – all of which put their safety and financial security at risk. The likelihood of this actually happening is unclear, but partnering with a dedicated third-party Ohio trucking logistics company ensures you have eyes/ears on the ground – and won’t be blindsided. Safety will always be our top goal. So too is minimizing our clients’ direct impact if/when transportation industry and labor disputes arise.